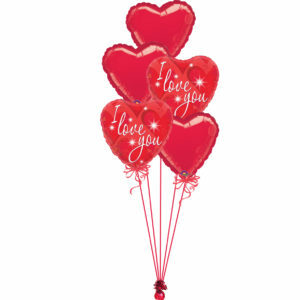 Created with one of the extremely popular I Love You Bubbles, 1 Deco Bubble balloon with red heart latex inside & 1 standard foil balloon on a foil balloon weight. 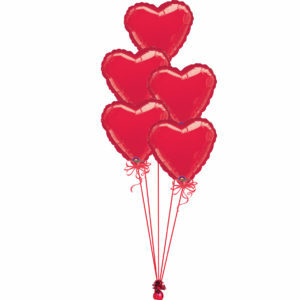 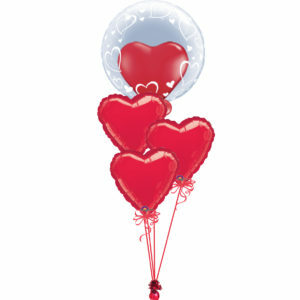 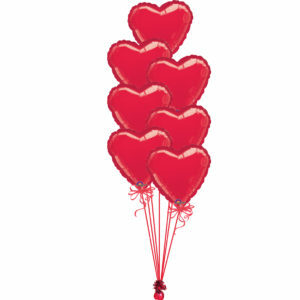 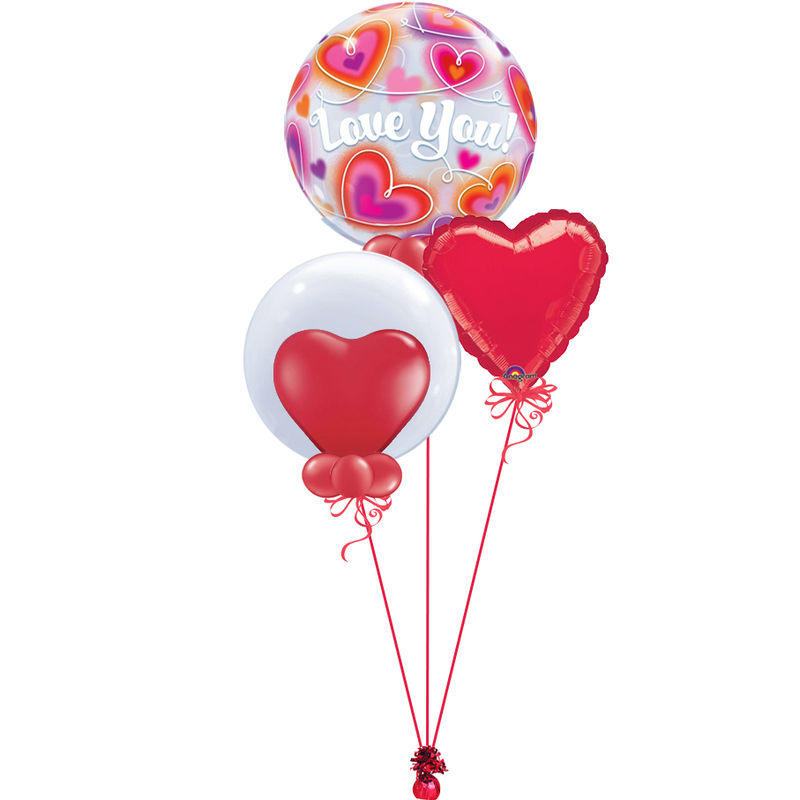 The I Love You Bubble is 22″ in size, the Deco Bubble balloon is 20″ in size and the foil balloon is 18″ in size. All balloons are attached to a matching colour ribbon and foil weight.